Professor Kari Rissanen is an Academy Professor at the Academy of Finland, where he is currently on leave from the University of Jyväskylä. He was first elected as Associate Professor of Organic Chemistry at University of Joensuu after completing his PhD in chemistry at the University of Jyväskylä. His main interests lie in the fields of supramolecular chemistry, nanochemistry and X-ray crystallography, with a particular focus on weak intermolecular interactions in solid state materials, solutions and gaseous phases. His group are currently working on new self-organising organic nanoreactors, utilising combinations of metal coordination or halogen bonding, and halogen-bonded and organic two- or three-dimensional frameworks. Here he talks with CrystEngComm about his first crystal structure, and his many projects in the field of supramolecular chemistry. I have been always interested in natural sciences, especially chemistry, and at best scientific research can be like detective work. The full utilization of the sub-component self-assembly principle (pioneered by Jonathan Nitschke, Cambridge, UK). How do you think Crystal Engineering will develop in the next couple of years? To the understanding and utilization of the hierarchical order of multiple and simultaneously active weak intermolecular interactions. I really enjoy being able to help and tutor my students, postdocs and colleagues in resolving their difficult structural problems. What is the secret to a successful research group? Motivation and dedication to the research and persistence in overcoming encountered difficulties are all key to the success of a research group. Winning two consecutive 5-year Academy Professorships – this is the most prestigious scientific research position in Finland. What advice would you give to a young scientist? Learn the basics well and keep an open and keen mind to everything new. Focus on your research and try to look it from a different perspective. In case of difficulty seek advice and help from more experienced colleagues and mentors. Actually I have never though about this possibility, but maybe some kind of high school teacher? What is your favourite space group and why? R-3. Only 4 of my 850 published structures have this space group and in each case this space group has revealed a very interesting structure. What was your first crystal structure? Nickel salicylate. This was a product of my M.Sc thesis work which was published in Acta Chemica Scandinavica in 1987. Professor Sally Price works at University College London in the UK. Her group focuses on developing the accurate modelling of intermolecular and intramolecular forces, in order to predict which crystal structures of an organic molecule are thermodynamically feasible. These are contrasted with experimental searches for polymorphs in order to understand the factors which lead to polymorphism, in a multi-disciplinary project “Control and Prediction of the Organic Solid State” (CPOSS – 2012 meeting report to follow soon here on CrystEngComm blog!). She is on the Crystal Growth and Design Advisory Editorial Board and was a member of the CrystEngComm Editorial Board when the journal was first launched. Here, she talks to CrystEngComm about her near miss as a tax inspector, and her fasincation with the theoretical and atomic level understanding of chemistry. I’ve always liked understanding how things fit together – I had a chemistry and a Meccano set as a child. The summer before I started my A-level course, I worked at ICI as a lab technician, and I can recall the reaction of my supervisor when I said I wanted to be a theoretical rather than experimental chemist. At that stage I had barely heard of quantum mechanics, and was only expressing a liking for theory as being able to quantify relationships between measureable properties and make predictions. How do we model the forces in flexible organic molecules? The organic solid state is a great challenge to our theories of modelling inter and intramolecular forces adequately. It would be a breakthrough if computational chemistry and molecular modelling actually lived up to the hype and expectations, but it should slowly become a reliable complement to experimental work. We still have a long way to go in developing crystallisation science to have a more reliable theory, let alone implement such a theory to predict which crystal structures will form under which conditions. The required breakthrough is probably in understanding nucleation and growth in more realistic systems. I subscribe to the dream of being able to design the assembly of new materials with targeted properties, but with the caveat that this will probably be the optimal compromise between the huge range of different properties required. For example, for pharmaceuticals, the primary property is biological effectiveness, and crystal engineering should define the variability in solubility, dissolution rate, mechanical stability, and ability to be formulated into a good delivery system. The sheer aesthetic pleasure when various experiments and calculations come together to give an atomic level understanding. The people and their commitment to really understanding their research problem. A group with a mutually supportive atmosphere, where everyone helps each other, and feels able to make and receive suggestions and constructive criticisms about each other’s work, will be able to build more effectively on the work in the field. In science, my more confident predictions of new crystal structures being experimentally verified, such as carbamazepine form V.
Write and rewrite your work continually as you are going along. Draft your aims and introduction before you start, add method and results as you are going, stacking up material for the SI, and keep rewriting your arguments and conclusions. Writing it down ensures that you think more clearly and critically about what you are doing, than just talking about it. When it looked as if the Research Council (SERC) would not be funding anyone in the round when my postdoc grant was ending, I started investigating becoming a tax inspector. However, the exchange rates fluctuated in the right direction, before I had to find out whether that second choice would have suited. I don’t think it would have provided such a varied and satisfying career. I have never solved a crystal structure, let alone prepared a sample. I lack the manual dexterity for experimental work. However, the first crystal structure I studied in detail was chlorine, to show that the anisotropy in the atom-atom repulsion and electrostatics, arising from the lone pair density could account for this structure. It was my first application of the theory of intermolecular forces to modelling crystal structure. Professor Alessia Bacchi completed her undergraduate and graduate studies at the University of Parma. 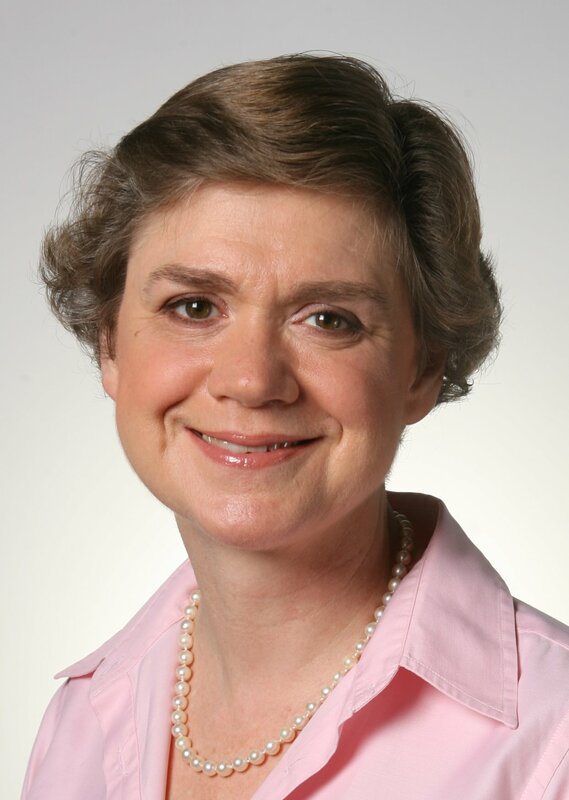 After completing a two year post doc in the European Molecular Biology Lab in Hamburg, she returned to the University of Parma in October 1998. Since October 2001, Alessia has been Associate Professor in the Faculty of Science, investigating the supramolecular organization in crystals as a model for the description of multicomponent systems and for the realization of new materials with complex properties. She is on the European Crystallographic Association Executive Committee and is the past chair of the IUCr Commission on Structural Chemistry. Here, she talks to CrystEngComm to tell us about her hopes for understanding crystal nucleation; her fascination with molecular models; and her enthusiasm for educating young researchers and students. I wanted to capture the deepest reasons behind what I could see. I have always been fascinated by building models to explain things. We are designing molecular materials that can adapt their solid state organization to include and reversibly release small guests, by reacting to external stimuli. We also work on polymorphs – a fascinating world where the more you look at things, the more you see fine details and unexpected results. I believe that understanding the process of nucleation, the very first stages of the birth of a crystal, would be a real step forward for scientists who design and fabricate crystalline materials. The field is already on the cusp of fabricating novel materials with applications in the field of nanosciences in general. Also, control of crystal forms is becoming affordable. In a nutshell: less space for serendipity, more emphasis on control. I still get excited when a prediction comes true, or when at the end of a lot of hard work I finally see the reason behind a particular observation. The education of young researchers and students is also an extremely rewarding aspect of academic life. To know each other’s strengths and weaknesses, and to be able to compensate one’s faults with someone else’s skills. Just after finishing my PhD I predicted that there should be conformational polymorphism for rifamycins (a well known family of antibiotics) because I had been able to formulate a model of molecular flexibility previously overlooked (published in Journal of Medicinal Chemistry and Journal of Computer-Aided Molecular Design). Then I planned an unconventional crystallization experiment and ‘eureka’ the predicted form was there! I still remember the joy when I first saw the structure (published in New Journal of Chemistry). More recently, I had the crazy idea to predict the strength of intermolecular interactions by measuring crystal shape, and it worked! (published in Angewandte Chemie International Edition). To be ambitious and passionate in their work, to be honest and kind with colleagues and young students. Being a good person is the most important thing. P212121, because the origin is not in an obvious place or at the intersection of anything. 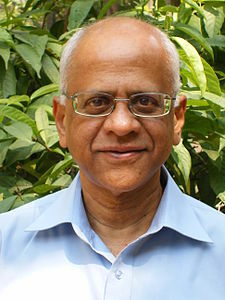 Goverdhan Mehta is a researcher, specialising in organic synthesis. He has helped to build institutions in India – the Indian Institute of Technology, Kanpur, the University of Hyderabad, and the Indian Institute of Science, Bangalore. He was director of the Indian Institute of Science (1998-2005) and vice chancellor of the University of Hyderabad (1994-1998). 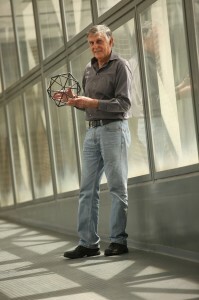 Professor Dan Shechtman holds the Philips Tobias chair of Materials Science at Technion – Israel Institute of Technology. Prof. Shechtman was an NRC fellow at the aerospace Research Laboratories at Wright Patterson AFB, Ohio, where he studied for three years the microstructure and physical metallurgy of titanium aluminides. In 1975 he joined the department of materials engineering at Technion. In 1981-1983 he was on sabbatical at the Johns Hopkins University, where he studied rapidly solidified aluminum transition metal alloys (joint program with NBS). During this study he discovered the Icosahedral Phase which opened the new field of quasiperiodic crystals. In 1992-1994 he was on sabbatical at NIST, where he studied the effect of the defect structure of CVD diamond on its growth and properties. For the past 6 years he has also been a part time faculty member of Iowa State University. He recently won the Nobel Prize in Chemistry 2011 for his discovery of quasicrystals. The whole thing. I have opened a door to something new in crystallography, and many crystallographers came in through it, resulting in a paradigm shift. Many believed, many did not, and so it was a battle of minds for ten years. In 1982, I was alone, and couldn’t explain my results. In 1984, I returned to Technion, where my colleague Ilan Blech was the first to believe in my findings, and helped by elucidating the structure and building a model to explain this phenomenon. We submitted this in 1984 to the Journal of Applied Physics, but it was rejected, and we finally managed to publish it in Metallurgical and Materials Transactions more than half a year later. In the meantime, John Cahn (my colleague at NIST) and the French crystallographer Denis Gratias became involved with the project, and we submitted a short paper to Physical Review Letters based on my original results from day one. In the period that followed, many scientists accepted quasicrystals, but there were still many people who rejected the idea, including the International Union of Crystallography (IUCr). They wanted single crystal X-ray diffraction results to definitively confirm the existence of quasicrystals. Between 1984 and 1987 many attempts were made to grow crystals big enough for single crystal X-ray diffraction, and two groups in Japan and France achieved it. I presented these results at the 14th IUCr Congress in Perth, Australia, and the crystallographic community finally said ‘OK Danny, now you are talking!’ and they established a committee to redefine crystals. This was very meaningful, as it demonstrated that the community could be open to new discoveries. What drove you to stand by your results, even though you knew many people would challenge them? I am my own worst critic. I tried everything necessary in order to convince myself that I knew what it was not. No one had a better explanation. I remember the discovery date well, April 8 1982. Electron diffraction played a fundamental role in the discovery of quasicrystals, and it is still a growing field. What are your thoughts on electron diffraction? Electron diffraction is a wonderful tool, and nowdays it can be a wonderful crystallographic tool. Before electron diffraction was not as precise, but now using convergent beam electron diffraction we can determine with precision the structure of tiny crystals. Electron diffraction is the tool for discovery. I am looking at a range of materials, such as the B2 materials which are intermetallics. There are B2 materials which are very brittle, but we are working on some which are very ductile. We are now working mostly with Mg alloys for various applications, such as biodegradable and biocompatible implants and as antibacterial materials to fight bacterial infections. What will be the next big breakthrough? Nobody knows! Great discoveries are stumbled on. If you are clever enough you will work hard on a problem and elucidate the answer. Be an expert in something, regardless of what it is. I was good at electron microscopy, but you can be good at X-ray diffraction, synthetic chemistry etc. Read everything, familiarise yourself with the instrumentation and methodology so that when you see something different, you will realise and know that it is different, rather than thinking it is an anomaly or an error. Find out more about Dan Shechtman on his webpage at Technion Institute of Technology. You might also be interested in reading more in my recent blog on Professor Shechtman’s Nobel Prize. Why not check out Chemistry World’s recent story on this year’s award too! Gautam Desiraju reveals his favourite space group! 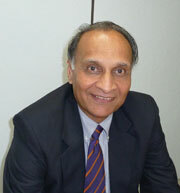 Professor Gautam Desiraju was born in Madras, India, and received his B.Sc. at the University of Bombay, India, in 1972. He was awarded his Ph.D. from the University of Illinois at Urbana-Champaign, USA, in 1976. After two years at Eastman Kodak Company, Rochester, New York, USA, he joined the faculty at the University of Hyderabad, India. He left the University of Hyderabad in 2009 and is currently at the Solid State and Structural Chemistry Unit, Indian Institute of Science, Bangalore. He was recently was elected President of the International Union of Crystallography (IUCr) during the IUCr General Assembly in Madrid, Spain for the triennium 2011-2014. Prof. Desiraju was one of the founder members of the CrystEngComm Editorial Board and has also served on the Editorial Advisory Board of ChemComm. His 1989 book on crystal engineering and 1995 review in Angewandte Chemie on supramolecular synthons redefined several aspects of the subject of crystal engineering, and in particular led to an emphasis on the study of hydrogen bonds and other intermolecular interactions. I always liked chemistry, I was fascinated by it. During my first lab experiment in chemistry I remember thinking I didn’t want to do anything else. I was very lucky that I had the opportunity to do what I liked. So many projects that I have lost count! Currently I have at least 10-15 projects underway in my group. We are very excited about nanoindentation, which is a new technique that allows us to experimentally compare the interaction strengths and monitor anisotropy of molecular crystals. This requires a very good student as it is a very laborious process – you need to know the faces of the crystal really well. If I knew what it was, I would be doing it! The beauty of scientific research is that you never know. If you could predict the next breakthrough, everyone would have gotten there! There is no doubt that crystal engineering has spread far and wide. Unlike other areas in crystallography, it has attracted lots of people and interest, even though it is hard. Big ideas in chemistry are sustained when there is commercial application because this brings in money to attract research. Crystal engineering is very lucky as areas like metal-organic frameworks and pharmaceuticals are very big and have lots of money, and so there is lots of interest. The commercial applications and the challenge are an irresistible temptation. No subject addressed by the both the RSC and ACS can be small. According to the evolutionary model it is the survival of the fittest, and so the not so good areas of science will die out because of the lack of support. These are not good times for science, and we do need to worry about it. However, the future is very bright for crystal engineering, as the pharmaceutical industry sustains the organic research, and the chemical industry sustains the metal-organic framework research. Just the fun of doing it! Scientists like me are very lucky as we work with young people all the time, which keeps both the scientist and the young person active. Other careers such as medicine, police, etc. are not so happy because they are not exposed to young people as much, but we are fortunate enough to see the ‘innocence of life’ all the time. This really depends on the personality of the research advisor, because they are the central person in the group. As the manager it is their role to get the best output possible out of the team depending on how they motivate the people around them. It is a very fine balance between happiness and productivity. There should be an abundance of both in every research group. Pride is a bad word. All scientists like to do their own thing. Serious scientists would do this irrespective of anything. It is best when you do it for yourself and it interests your peers. For my plenary at the IUCr Congress in Madrid I specifically kept the material to be recent, and even though there was a large lecture hall full of people at 9am on the last day of the conference, I could have easily have given that talk to myself, as it gives me the greatest happiness to explore my work. Go have fun in the lab. Be bold and do what you like to. Let go of inhibition and remember that your training is only a platform so you don’t do nonsense. Research is highly individual, and you have to do your own thing. Think like this from the very beginning. I would have studied history or sociology. P21/c with Z’=1 (not 0.5 + 0.5), because this is the norm, and merits no further consideration. Anything else needs a chemical explanation, as this condition requires no chemistry. What is not P21/c with Z’=1 is crystal engineering/me. It was horrible! I did my PhD in the US in 1975, and we had to hand-centre the reflections before data collection! It was hard work and lots of effort to turn arcs on this enormous machine. The structure was in Pbca with a c-axis of 44Å and very close spots. I was baptised by fire! You never forget the first! From themed issue Weak hydrogen bonds – strong effects? Professor Proserpio works in the field of applied theoretical chemistry at the Dipartimento di Chimica Strutturale e Stereochimica Inorganica in Milan, Italy. 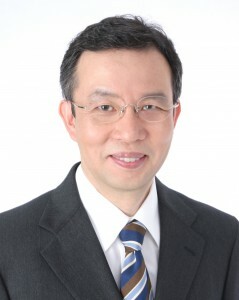 He is a member of the CrystEngComm advisory board. 1) Why did you to become a scientist? I was child with a very enquiring mind, always curious about the fact of nature and science. So I decided to find some high school that could give me a good scientific background, and the only one available near my hometown was a technical school in chemistry… so I started chemistry at 14 and I never abandoned the field! 2) What projects are you working on at the moment? Applications of what I call “topological crystal chemistry” to all possible crystal structures from the entanglements in coordination networks, to the analysis of the zeolites and intermetallics compounds in terms of nanoclusters, to the nets formed by halogen bonding. 3) What do you think will be the next big breakthrough in your field? I dream of a computer expert system that will predict with a high probability the overall topology (including possible entanglements) for a coordination framework composed of a given set of building units. 4) How do you think crystal engineering will develop in the next five years? The number of examples of planned synthesis of predicted architectures will increase, and there will be market application of MOFs. 5) What is the most rewarding aspect of your work? To work in connection with people all around the world and from very different backgrounds, from crystallographers, to mathematician and physicists. And being able to put them in connection to solve complex problems. 6) What is the secret to a successful research group? Interdisciplinarity and an open mind. 7) What achievement are you most proud of? CACAO (Computer Aided Composition of Atomic Orbitals) for Extended Huckel calculation on PC following the applied theoretical chemistry approach I learned from Carlo Mealli and Roald Hoffmann, and TOPOS, that is written and developed mostly by my friend Vladislav Blatov, but that I helped to extend to the field of topological crystal chemistry. 8 ) What advice would you give to a young scientist? Don’t get too narrow minded in your field but look around for connections. 9) What would you do if you weren’t a scientist? 10) Can you tell us a little known fact about yourself? Keiichiro Ogawa is a professor of chemistry at the Graduate School of Arts and Sciences, University of Tokyo, Japan. His research is aimed at the understanding and control of the dynamic behaviour of organic compounds and other molecular assemblies in crystals. Keiichiro was awarded the Crystallographic Society Japan Award in 1997 and recently a Chemical Society of Japan Contribution Award in 2007. He is a member of the CrystEngComm Advisory Board. Why did you to become a scientist? Having grown up in a family of three generations of scientists, I have wanted to be a scientist since boyhood. In particular, I was intrigued by science because it unravels the mysteries of the universe, and leads to technologies that contribute to our wellbeing. My group is working on solid-state reactions in organic crystals, particularly those related with color-changing phenomena, i.e., photochromism and thermochromism. Such a prediction is difficult but it will probably be the emergence of completely new methods for measuring these phenomena. If this happens it could provide totally a new insights into the world of matter, as brought about by the arrival of the analytical techniques in X-ray crystallography and NMR spectroscopy. How do you think crystal engineering will develop in the next five years? As methodologies for detection of minor products are refined, organic solid state reaction mechanisms should become better understood. This will give us much a more comprehensive picture of what happens in a sequence of solid-state reactions. The excitement of presenting new findings and/or interpretations to an appreciative and expert audience! Good people and good projects are the most essential components for successful scientific research. I’ve been fortunate in having an excellent research colleague, very good students and some challenging research topics. I am particularly proud at having found that an apparent shortening of the central bond of stilbene-type molecules is caused by the torsional vibrations in crystals (K. Ogawa et al., JACS, 1992, 114, 1041). This finding led to the discovery of a more prominent molecular motion, i.e., pedal motion in crystals (J. Harada and K. Ogawa, Chem. Soc. Rev., 2009, 38, 2244.). Young scientists must understand their principal research topic as deeply as possible, while being aware of the broader thrust of the field. The wider view can often provide insights into the subject you are most interested in. My hobby is opera singing and my dream would be to be a professional singer, though I know I don’t have sufficient talent to start this career. Music can move one’s heart instantly, even within a second. Science can also do this, though not so quickly as in music. The important thing for me is that they both give joy. If I must live and work in one place, it would definitely be Tokyo. I have lived in Tokyo since my birth and I find it a vibrant, safe, and beautiful city. I like to visit other places, particularly in foreign countries, but I always enjoy returning home. More about Keiichiro on his webpage at the University of Tokyo. 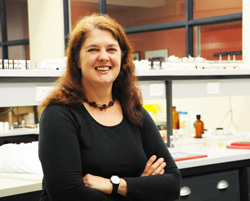 Susan Bourne is a professor in the Department of Chemistry at the University of Cape Town, where she has been based since 1994. Her research is focused on crystal engineering of molecules with diverse functional properies such as metal organic frameworks and layered hybrid perovskites. Susan is also a member of the CrystEngComm Advisory Board. Unusually (I think) my interest in chemistry was sparked by a poor science teacher in high school. Knowing that I needed to pass the school-leaving exams, I read the textbook cover to cover, and was hooked! I always wanted to understand how things worked or what was underneath the surface. Developing and rationalising concepts was easier for me than memorising lists of facts. We’re working on coordination networks (including some MOFs) which are able to absorb guests from gas or solution, and also on the supramolecular modification of biologically active compounds. Breakthroughs, by their nature, are hard to foresee, but I’ll stick my neck out and say that crystal packing prediction has made enormous advances recently and I’m beginning to believe that the day will come when it will be possible to design crystal structures rather than rationalising them after the fact. I believe we’re on the cusp of very exciting developments and that the next few years will see the actualisation of many of the promises of crystal engineering: the production of materials with measurably improved properties which have been ‘engineered’ in at the design stage. We’ll also see the development of more and more responsive systems, which react to their environment in some way. There aren’t many jobs where you get to work with intelligent and motivated people every day. Watching students develop their scientific confidence is hugely rewarding as is seeing them move on to become my colleagues. My research group has always shared space and facilities with other groups which I think has fostered a collaborative spirit. Encouraging students to explore their own interests and try out something new and even a bit off-the-wall has sometimes produced exciting results. Probably our most recent work on metal-organic frameworks which collapse on dehydration and regenerate on exposure to guest vapours. But then I’m always excited by new results, so this will probably change soon. Read widely, attend seminars outside your own area and keep an open mind. And learn to bounce back from setbacks! I really had to rack my brains to answer this. I think I would have to be a scientist of some sort, nothing else interests me as much. Geology and botany are both interests I’d like to explore more one day. The natural environment around Cape Town is wonderful and easily accessible. I find running in the mountains exhilarating and inspiring. Find out more about Susan on her webpage at the University of Cape Town. Graeme Day is a Royal Society University Research Fellow at the University of Cambridge, UK and a member of the CrystEngComm advisory board. His research is centred on predicting the structure of molecular crystals, studying lattice dynamics of molecular crystals, crystal property calculations and crystal nucleation and growth. I had a series of very good science teachers in school who got me interested in science early on and I enjoyed the scientific approach to understanding how things work. I also viewed my older brother as a role model when growing up and followed a lot of what he did. He was studying chemistry and physics at university when I was in school and I ended up getting a degree in chemistry and maths. There are a few things going on in the group at the moment. We are always working on the development of the computational methods that we use for crystal structure prediction, and tackling problems that are involved with looking at more and more difficult systems, such as large flexible molecules, solvates and other types of multicomponent crystals. What is really exciting in the area of crystal structure prediction is that the methods now work quite well for a range of types of molecules, so we have moved on from just developing methods and are also applying the calculations to explain and design interesting properties in materials. Another aspect of our work is looking at dynamics in molecular crystals and how the dynamics of molecules in a material influence the properties. We are developing computational methods to interpret and analyse optical phonon mode spectra, such as terahertz spectra of materials. The comparison to measured spectra helps validate our models of intermolecular interactions and this feeds information back into the structure and property prediction work. It’s hard to predict what the next breakthrough will be, but I could come up with a wishlist of breakthroughs that I would like to see. What we need for the prediction of crystal structures is a breakthrough in how we can model the influence of crystal growth conditions and heterogeneous nucleation on the structure that is formed under particular conditions. At the moment, we predict more crystal structures of a molecule than are ever observed as polymorphs. We need to be able to predict which of these will be the kinetically preferred structures in a certain experimental setup. I have a biased view here, but I see a much greater role for computational chemistry in predicting the structure and also properties of materials. We are at a stage where the methods are mature and the computing resources are available to incorporate prediction calculations into materials design. Over the next five years or so I expect to see predictive calculations become more regularly used in crystal engineering research groups. Doing science means collaborating with talented and enthusiastic people, and I really enjoy being able to sit down and brainstorm with other scientists. I also get a lot of satisfaction from turning a hypothesis into a set of calculations or experiments and eventually the final product of getting a study published. The most satisfying projects are the ones where there are plenty of problems that have to be overcome in completing the study. Straightforward studies are less rewarding. I’m fairly new to running a research group, so am still trying to discover the secrets to success myself! A group of people who work well together and are willing to spend time helping each other is important. The group works best when everyone knows where their project fits into the big picture and people are exchanging ideas. You need to make people aware of what you are doing, so don’t turn down chances to gives talks and present your research. Also, do lots of reading, of the recent literature and older publications. I’m proud of having contributed to the rapid progress that has been made in modelling methods for crystal structure prediction over the last 5-10 years. Organising the last couple of blind tests of crystal structure prediction was also a big job and I’m glad to have contributed to those, which bring the entire field together to validate our methods. That’s a difficult one. When I was younger, I played football (soccer) to a reasonably high level, but was never close to being good enough to go pro. Similarly, I was a reasonable clarinetist and played in a student orchestra, but did not see that as a career for me. The answer is that I really don’t know! If I weren’t a chemist, I would probably be a mathematician or physicist. I have moved around a lot during my life, so don’t have one favourite place. I like getting back to Nova Scotia, Canada, to spend time by the ocean and to see my family, but am also happy spending a quiet evening at home with my wife.